BDS NUI FDS RCS (Eng), MOrth RCS(Edin), MDS, FDS(Orth) RCS (Eng). 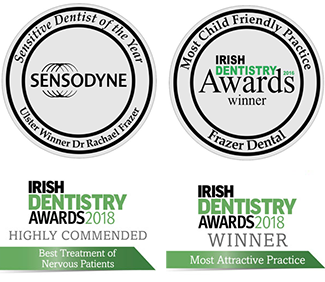 Dr Hegarty is one of the most highly qualified orthodontists in Ireland and a valuable member of the Frazer Dental team. He is a Consultant Orthodontist in Cork University Hospital. He treats everyone from age 6 to 66 with braces . 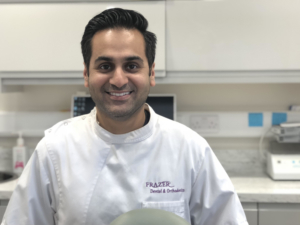 He uses removable braces and functional appliances in young children to help guide jaw growth and to help prevent children needing traditional braces. He also provides a wide range of cosmetic braces for adults. Dr Hegarty is one of the few orthodontists in Ireland who practices lingual orthodontics ( Incognito braces ), whereby the brace is placed on the inside of the teeth making them completely hidden . David qualified as a dentist in UCC in 1990. He spent his early years in London doing hospital oral and maxillofacial surgery in Whitechapel, Great Ormond Street, University College Hospital, and the Eastman Dental Institute. He trained as an orthodontist in Cork Dental Hospital, and qualified in orthodontics to hospital consultant level in Manchester in 1999. 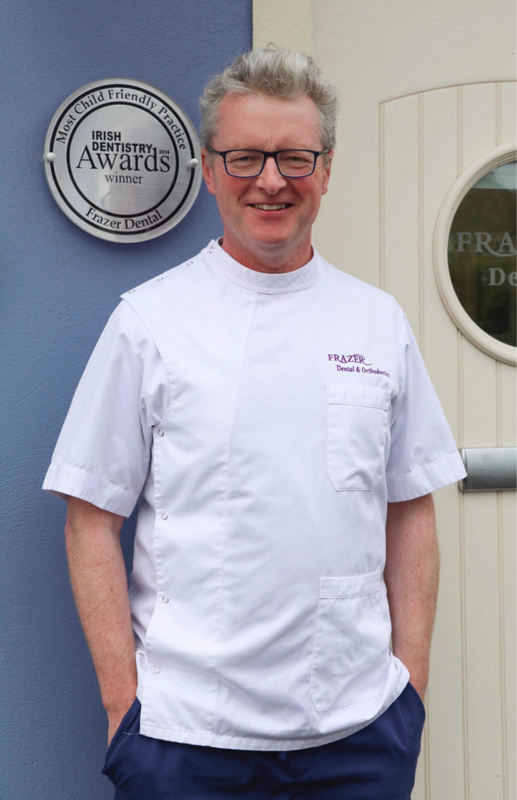 He has worked as a consultant orthodontist in the Irish health service to date, training orthodontists managing cleft palate patients, jaw surgery cases, and dental implant patients as well as line managing HSE services. He really enjoys working in private orthodontic practice to get to provide invisible lingual orthodontic treatments and perform high quality orthodontic appliance treatments. David regularly attends orthodontic courses to continually develop the work he provides. Dr Hegarty also uses Invisalign and Clear Aligners for adults who want discreet braces which no one will notice . Dr Lackho is our root canal & advanced restorative dentist here at Frazer Dental. He qualified from Trinity College Dublin in 2011 and has worked in practices in Ireland and the UK. He visits Frazer Dental on Wednesdays to complete root canal treatments & complex smile makeovers . 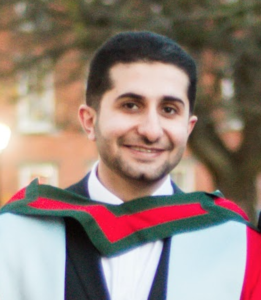 He is currently finishing a Masters Degree in Endodontics ( root canal treatment ) in Queen Mary University , London. There are lots of myths about root canal , but if you are having root canal with Dr Sameer , it will be done quickly and painlessly , and our massaging dental chair & noise cancelling earphones makes it a pleasant experience . He is also an anti wrinkle expert! He is married to a dentist, Marium, and they have one beautiful little two year old boy. 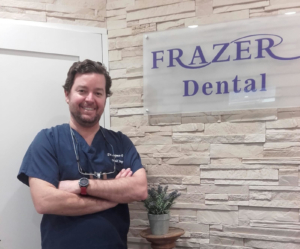 We are delighted to have dental implants being placed on a weekly basis in Frazer Dental & Orthodontics , Kingscourt by our highly skilled implant surgeon Dr Gonzalo Lopez . He has more than 18 years of professional experience in leading local & multinational dental centres across Europe . Dr Lopez trained at undergraduate & postgraduate level in top ranked Universities in Spain with on-going training internationally. Dr Lopez understands the importance of being up to date with the latest implant techniques . He is extremely experienced with a full focus on patient care. Gonzalo has postgraduate qualifications and extensive experience in Oral rehabilitation and Implants. He is an active member of SEI (Spanish Implant Association), IDA (Irish Dental Association), SECIB ( Spanish Oral Surgeon Association) and ITI(International Team for Implantology) and SEPES. Gonzalo graduated with a BSc in Dentistry from Complutense University Madrid and achieved a post graduate qualification in 2003 in Oral Malfunction, Occlusion and Oral Rehabilitation from CEU University, Valencia, followed by a further post graduate qualification in Oral Surgery and Implants from Hospital University La Concepcion Madrid. Dr Lopez moved to Ireland 9 years ago with his wife and children and lives locally . He loves the outdoors and spending time with his young family. Dr Lopez is a highly skilled professional in the area of dental implants using the world’s premium dental implant brand – Biohorizons. Please note – Self referrals and referrals from other dental practices are welcome. Email your query or a referral letter from your own dentist to: frazerdental@gmail.com or simply call us 0429668929.